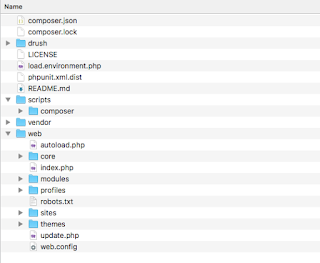 I downloaded the drush from the drupal website at http://drupal.org/project/drush. I downloaded the 7.x-4.5 version - I was using mac os x and if you are also using mac os or any other flavour of linux - you should download the tar.gz file. Drush works best on linux/mac os x - it works on windows as well but has its limitations, although things are improving but you will need to install additional software that allows you to use many drush functions. If you are interested to look at how to install drush on windows then have a look at drush.ws. I did install on my old windows pc as well, got most of it working. Coming back to the topic, we are installing on mac os x - so here goes. The accompanying readme.txt file is quite good in showing what is required, and it really is straight forward. Albeit there are a few differences and may be you would like to customise your installation a little bit - but this is what i did. The first step was to download and extract the drush-7.x-4.5.tar.gz file to a folder out of web root as recommended. a quick jump to ~/drush folder and enter drush at the $ prompt, as you have made drush executable your should see drush options, a good way to learn options is to use drush help. you may require sudo access so prepend sudo to the above command. Thats all, i tried drush and all worked swell! I was able to download drupal, install modules, enable/disable modules and everything. I hit a block when i was trying site-install option.Drush has a powerful option that lets you install a new site from the command prompt itself, and it is extremely fast. sh: mysql command not found. Thats it - all working fine now and i am enjoying working with drush.